Karam is a company which specialises in the production of PPE in India. Karam’s objective to create a lasting impact on the lives of industrial workers while working in inhospitable conditions in industrial settings. To address the needs of industrial workers, the company’s range of products include safety helmets, protective safety eyewear, welding protective face shields, hearing protective equipment, safety shoes and a vast range of fall protection equipment. The product portfolio of Karam Industries also includes anchorage systems, evacuation and rescue products, specialised rope access and confined entry/egress systems etc. Feet related injuries often occur at outdoor settings and factories, often crippling the victims for life. To ensure a high level of safety for professionals in such challenging work environments, Karam presents a new range of Karam safety shoes. The footwear available as a part of the category include models that come with a full grain leather, and are resistant to chemical, oil and heat. Therefore, they are highly valued by professionals who are exposed to industrial applications which involve daily exposure to chemicals and oils. 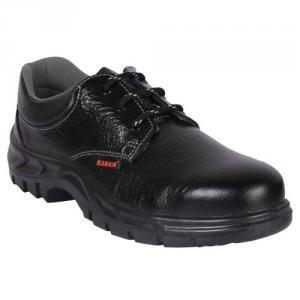 Keeping in touch with the needs of people who want to shop Karam safety shoes online, the company is also offering shoes that come with double density PU out sole for comfort and high abrasion resistance. They have an upper portion which is made from soft breathable inner lining. The shock absorbing feature of the shoes make them ideal for usage in thermal & hydel power plants, iron & steel factories etc. Karam Safety Shoes FS01 is equipped with a quarter lining made from Nelton padded foam. The pair has a highly resistant pair lining and a cleated outsole with wider cleats which provides a cleaning effect and higher grip. A high level of high durability and flexibility is ensured by the PU/PU sole. These anti-fatigue shoes are antistatic, oil/acid resistant, antis lip and heat resistant with shock absorbing property. The Karam safety shoes fs01 price has been kept within an affordable range keeping in view the spending power of buyers. The pair comes with a 6-month manufacturer warranty. Exposure to industrial production processes that involve exposure to substances such as heat, fire etc. can serious eye injuries.  Some of these accidents can lead to the permanent blindness. Karam has spent a considerable amount of time in research and development to create a new range of safety googles which come with exciting features. These Karam safety goggles are anti-fog lenses and are created from high quantity polycarbonate material. They are scratch and impact resistant and flexible nose pad with 99.9 UV protection. Therefore, they can be worn by workers engaged in a wide range of industries. People working in industrial sites such as construction sites and warehouses have to deal with a wide range of items on a day to day basis. The falling of heavy or sharp objects from great heights can lead to grievous injuries on the head. Karam safety helmets have been specifically created to meet up with the needs of industrial workers who work outdoors almost on a regular basis. These helmets have been manufactured using high quality polymer and have a high strength. Some of them come with a manual adjustment feature and a ratchet which suits most types of head sizes. They are compliant with both ISI and DGMS specifications and has a triple corrugation shell which offers increased impact resistant quality. The Karam welding helmets on the other hand are made from polycarbonate and are equipped with a ratchet adjustment feature. The presence of polypropylene resistant shell ensures a high level of durability. These helmets have protective lens have been created from clear high impact resistant polycarbonate lenses. They are lifetable and therefore offer a clear view, while resisting the entry of harmful of dust particles. The Karam safety helmet price has been devised in a careful manner so as to ensure that professionals can acquire the models they require without spending a large sum. People working in construction sites often have to work at great heights. To ensure that workers stay safe from fatal accidents while working at such locations, Karam has come up with a new range of Karam safety belts. These belts are equipped with a waist belt which ensures a good fitting. They are buckle & jointless, have a D-ring, automatic spring hook etc. Tested for usage at 2100 kg. BS (Breaking Strengths), some of these models come with a pad which ensures a high level of comfort. Made from nylon/polyamide and stitched with nylon thread along with copper revit which offers a high level of safety. They check falls and assist in rescue as well as evacuation operations. The safety belts come with life line and zinc plated forged steel self-locking snap and adjustable buckles in high strength chrome/zinc plated steel. The Karam safety belt price are within a wide range and therefore they can be availed by people without feeling a pinch in their wallet. Safety harnesses play a vital role in protecting a person from serious injuries while working at a high elevation. Aware of the dangers that they may be exposed to, Karam has launched a new range of Karam full safety harnesses. They possess front d-rings, side d-rings and are widely used for accidental or planned fall protection. This new Karam safety harness collection includes a wide range of models such as full body/fall protection safety belt, shock absorbing webbing lanyard etc. They are equipped with an adjustable shoulder and thigh-straps as well as shoulder and thigh-straps and have a distinctive look because of their dual colour scheme. These safety harnesses distribute fall forces across the body and minimise chances of injury.